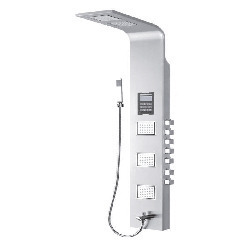 We are a leading Manufacturer of rain shower panel, shower panel acc4008, bathroom shower panel, shower panel ass6021, shower panel and bathroom shower from Mumbai, India. 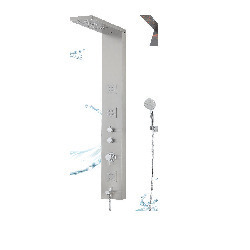 With a focus on variegated demands of our respected clients spread all over the country, we are offering Rain Shower Panel that is loaded with exclusive features. 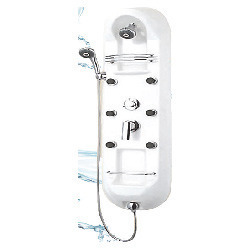 Known for their high efficiency, reliability, our shower panel is inspected on various parameters by quality controllers so as to ensure its flawlessness. 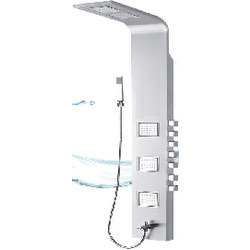 The offered shower panel is designed as per the market norms using premium quality material and modular technology under the supervision of experts. 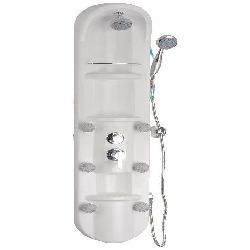 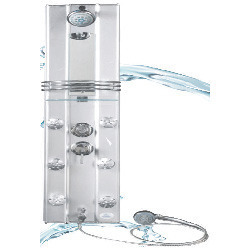 Our firm specializes in offering the best quality Bathroom Shower Panel which has multi flow hand shower. 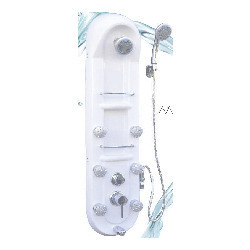 This shower panel is designed keeping in mind the standards of market using superior quality material and leading technology, in accordance with set industrial norms. 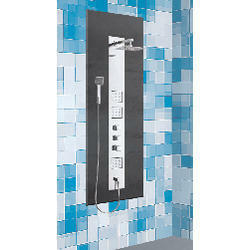 This shower panel is accessible in numerous designs and customized options as per the demand of clients. 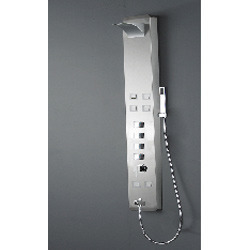 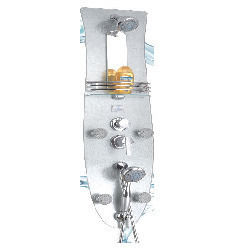 Our valuable customers can easily avail this shower panel from us at nominal rates. 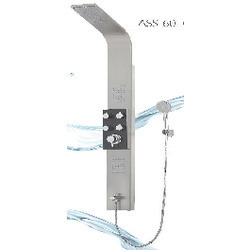 Marked with the tradition of quality, we offer an excellent quality Shower Panel ASS6021. 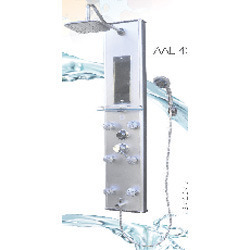 The offered shower panel is designed with the help of quality approved material and modular technology, in observance with set industrial standards. 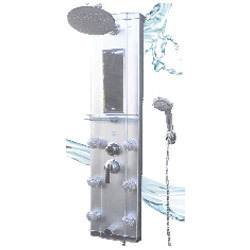 This shower panel is easily installed on your bathroom & has top rain shower with cascade flow. 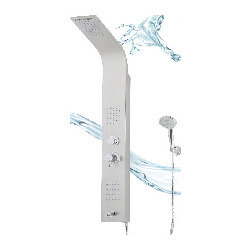 Our shower panel is checked on numerous parameters in order to deliver a defect free range from our side. 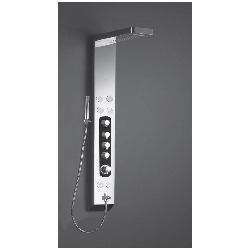 We are one of the best companies engaged in the manufacture, distribute and import of Shower Panel ASS6013. 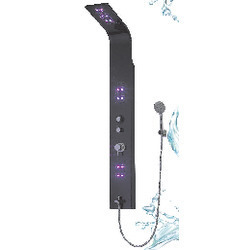 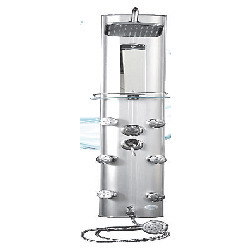 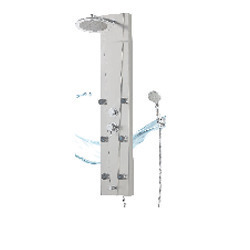 Known for their high efficiency, reliability and customized range, these have top rain shower with cascade flow. 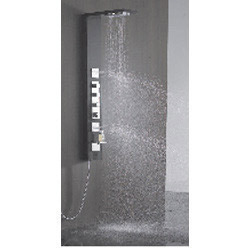 In addition to this, these panels of our company are in huge demand across globally and have rainy round spray jets. 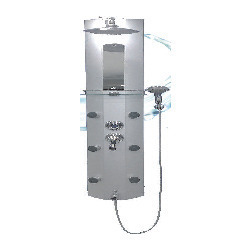 Apart from this, these have long functional life and offered at industry leading rates. 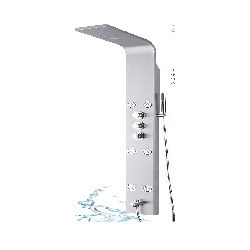 Our company is regarded as the pioneers in the manufacture, distribute and import of Shower Panel ASS6006N. 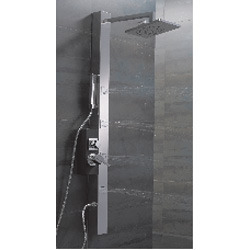 We manufacture these shower panels with supreme grade raw materials which are purchased from trustworthy vendors in the industry. 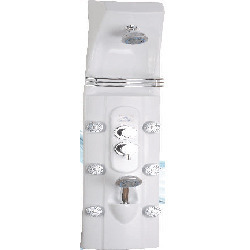 Furthermore, these are available in comprehensive range to cater to the requirements of our dear clients. 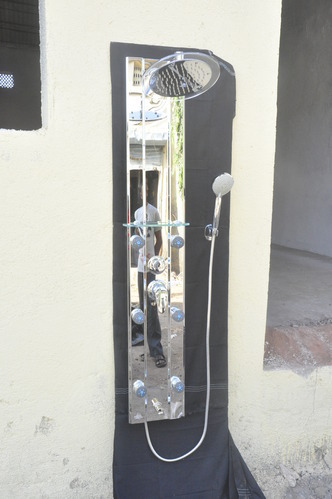 Apart from this, these are available at pocket friendly prices.